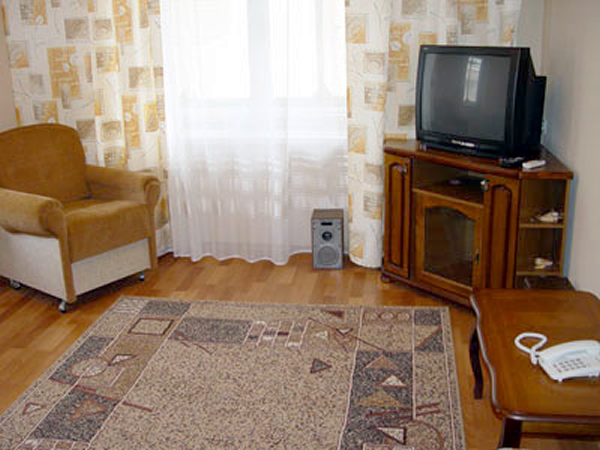 Dnepropetrovsk 1 bedroom apartment located in the city center with a great view of the Dneper River and left bank of the city from balcony.. Just one block from Karl Marks one block from the Dneper River the affiliate agency for DNK. Apartment has a queen size bed and sleeper sofa. Windows are new sound proof to insure a quite nights sleep. 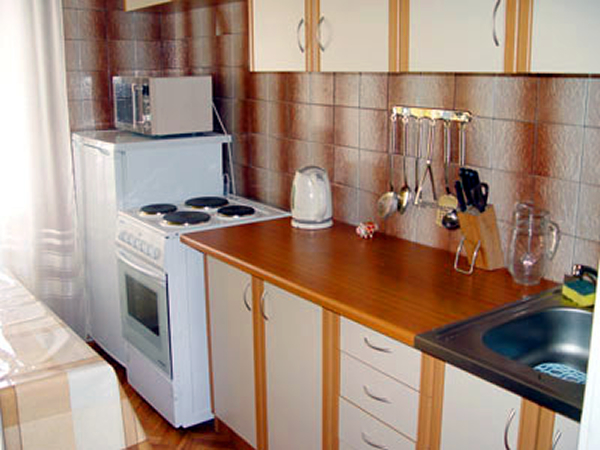 There is a completely equipped kitchenette with water filters for in-house cooking. The bath and kitchenette have self-contained hot water system. Entrance is from the courtyard with code lock security doors and 2 elevators. 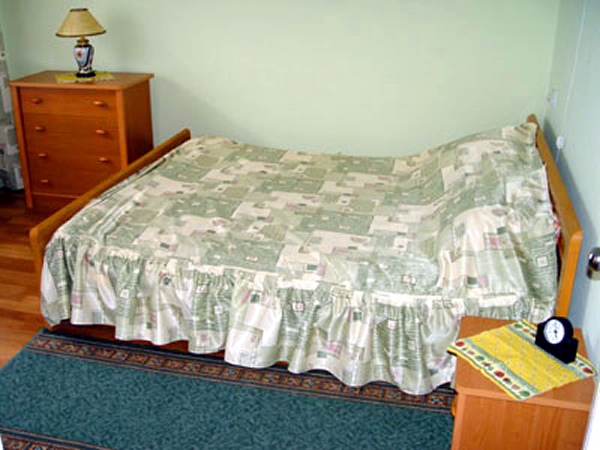 Amenities include Cable TVw/BBC, Discovery, Euronews & Eurosports, microwave, and washing machine. 24 hours supermarket and exchange close by. Weekly maid service.